This 8-week educational program is created specifically for elementary school students. Adopting a healthy lifestyle starts during childhood, and Eat.Grow.Live ensureS that our youth are exposed to gardening and sustainable living. This program is currently offered at Buena Vista Elementary School, where we serve 291 students (preK-4th grade, ages 4-10). For more information about the program, click here. To inquire about starting an Eat.Grow.Live program at your child’s school, email info@trapgarden.org. One of the most difficult times to eat healthy is during college. For many campuses, especially HBCUs, access to nutritional options, on and off campus, is extremely limited. 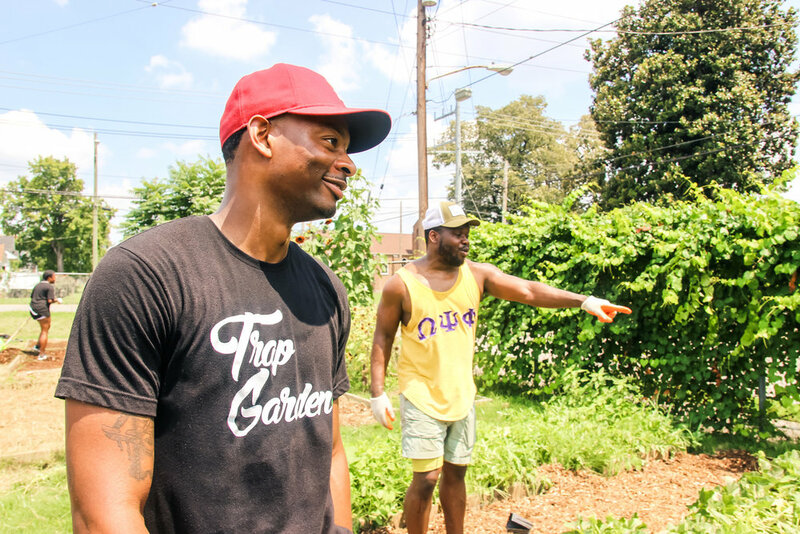 The Trap Garden Campus Ambassador program allows college students to share their knowledge and passion for healthy living with others on campus and across the community. We have established programs at Tennessee State University, Alabama A&M University, Miles College and Central State University. To inquire about bringing the campus ambassador program to your university, email info@trapgarden.org. Launching a community garden isn’t as simple as you think - trust us, we know. Luckily, we’ve got the experience under our belt to assist individuals and organizations with starting community gardens of their own. Our team is available to provide consultation at any stage of the garden building process. From choosing your plot of land to harvesting what you’ve grown, we can design custom packages to get - and keep - your garden thriving. Your first step is downloading our Community Garden Launch Tip Sheet. Simply provide a donation on this page, and you’ll have immediate access to the tip sheet. Have your tip sheet and are ready to take the first steps? Let’s get started! For additional information and pricing, email info@trapgarden.org.